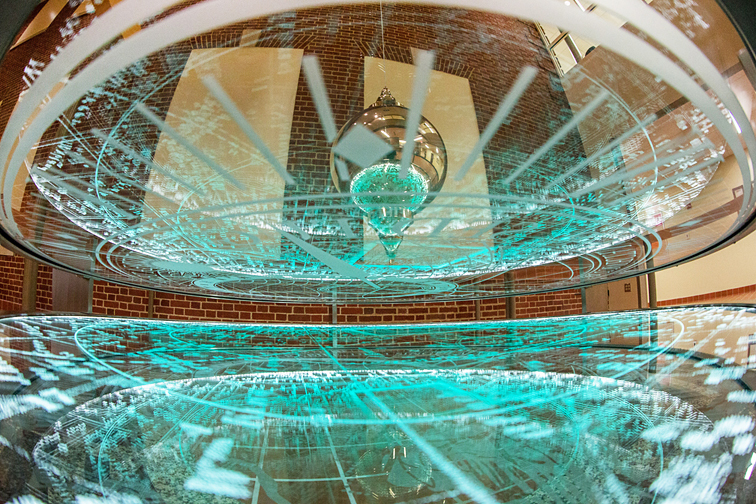 A pendulum installation in the lobby of a University Science building. A Foucault pendulum demonstrates the rotation of the earth, indicates present-position latitude, and can serve as a time-keeping device. As a scientific instrument it refers to a variety of celestial and mechanical approaches to measuring time. Pendulums are characterized by the rhythmic swing of a heavy metal “bob”. 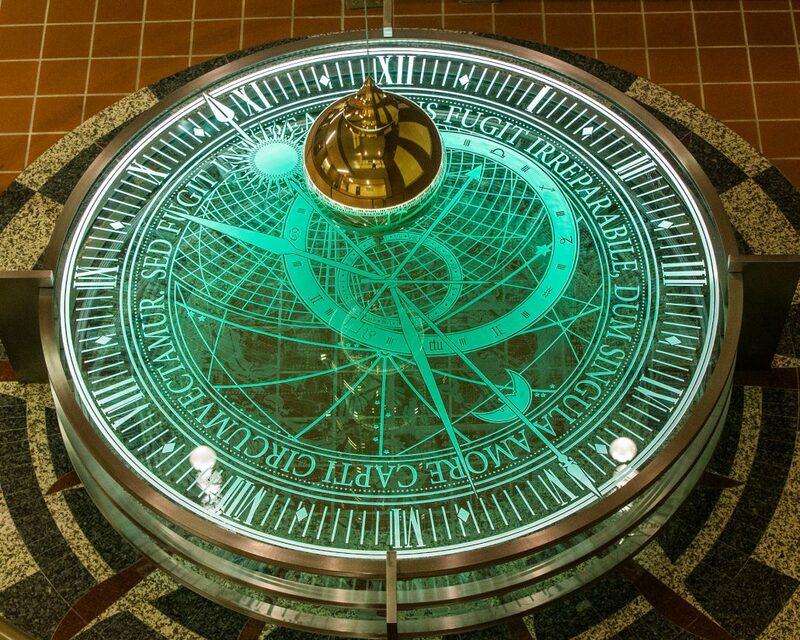 Underneath the bob of this pendulum is a series of illuminated glass disks. 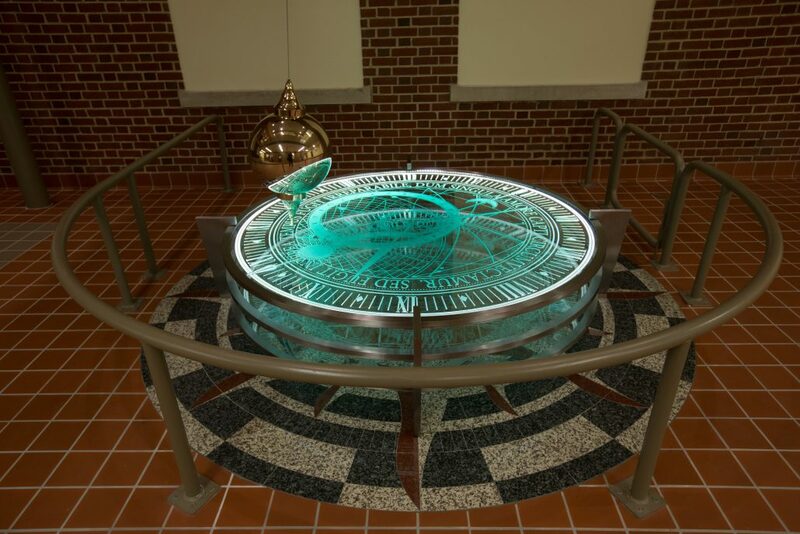 One of the disks illustrates an historic local plat map, while another has etched images of Northern Hemisphere constellations, and another reveals an image of an “Astronomical” clock. 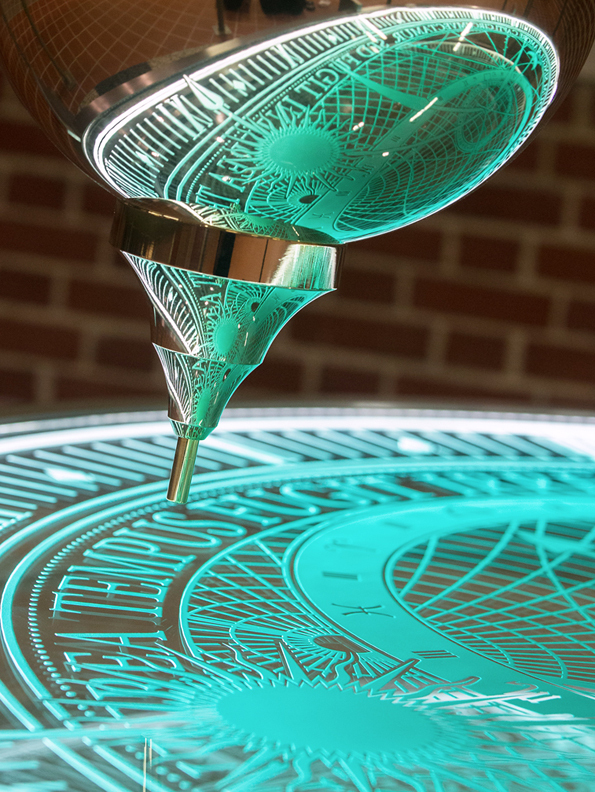 In addition to the rhythmic swing of the pendulum, the images on the disks change with the sequencing of embedded LED lights. Infused with conceptual beauty, this pendulum identifies a variety of references to celestial and mechanical ideas about time.